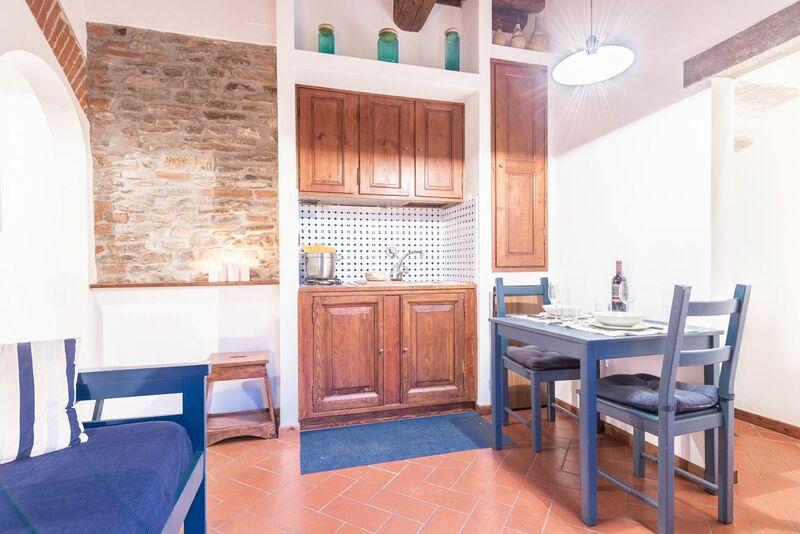 Located just a stone's throw from the Ponte Vecchio, Blue Prince is the ideal place for those who would like to live like locals in heart of the city of Florence. 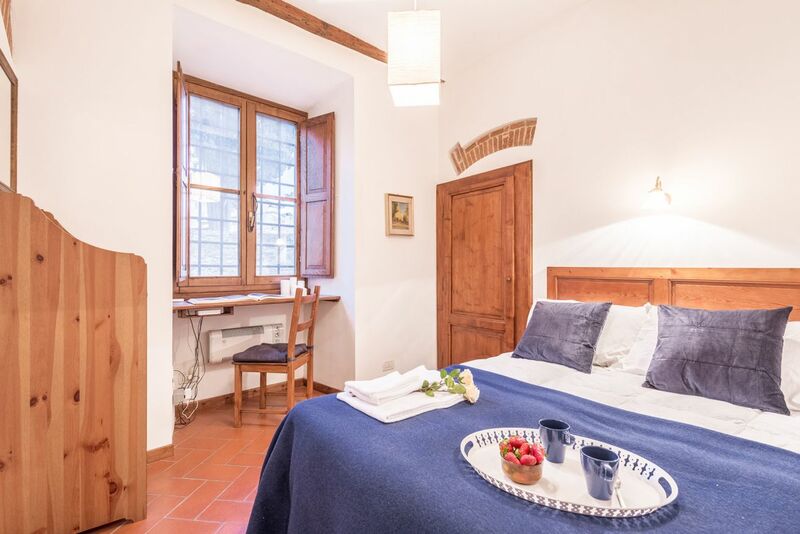 The apartment is situated in a peaceful area of the historical centre. 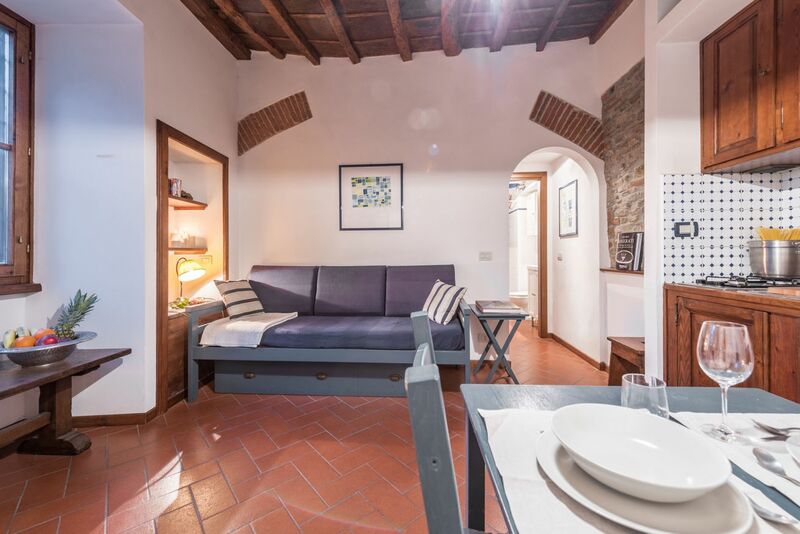 It is positioned on the first floor of a characteristic house located in Piazza dei Bonsi, just a short walk from the Oltrarno district, one of the most beautiful areas of the city. 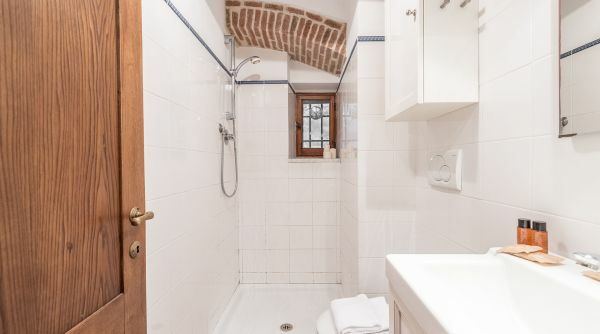 Here you will find yourself near the Forte de Belvedere, a 16th century fortress that boast one of the most beautiful views of the city and a delightful public park. 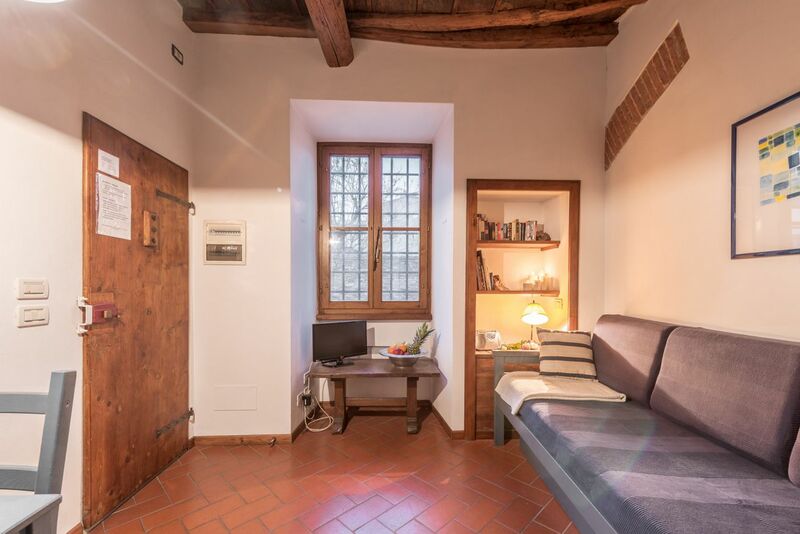 Sounded by centuries of history, the apartment is near the house of Galileo Galilei, and a short distance to the breath-taking Ponte Vecchio bridge. 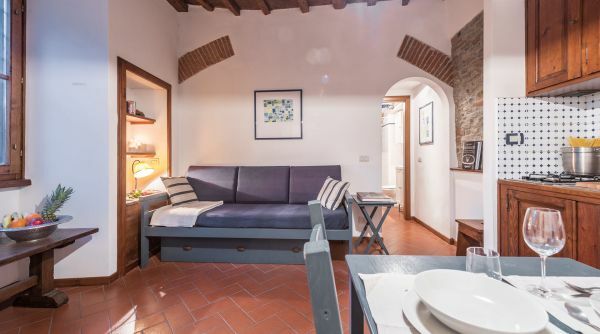 A 15 minute walk to the central train station Santa Maria Novella, and easily reached by taxi or public transportation from the Amerigo Vespucci airport (distance 8,7 km). 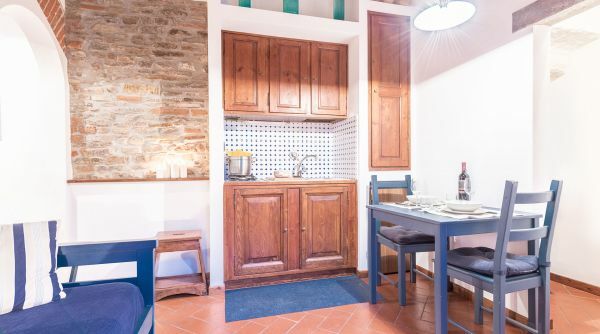 Furnished in Tuscan style, the living area has a well equipped open kitchen, a dining table and a single sofa bed. 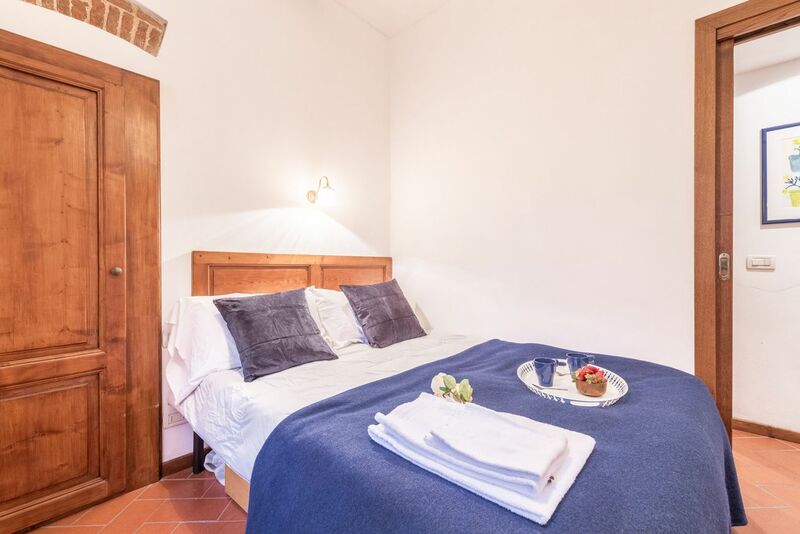 The apartment has a double bedroom with a king bed (160 centimetres width mattress), and a bathroom with a shower. 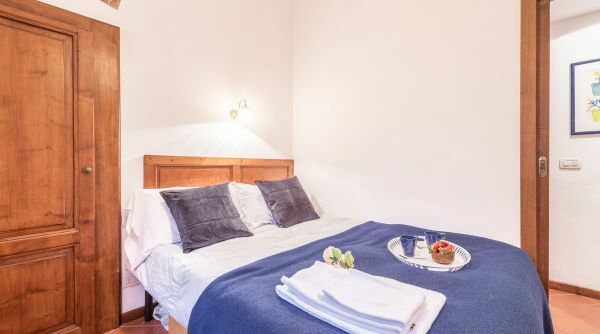 Blue Prince includes Wi-Fi, television, and independent heating. 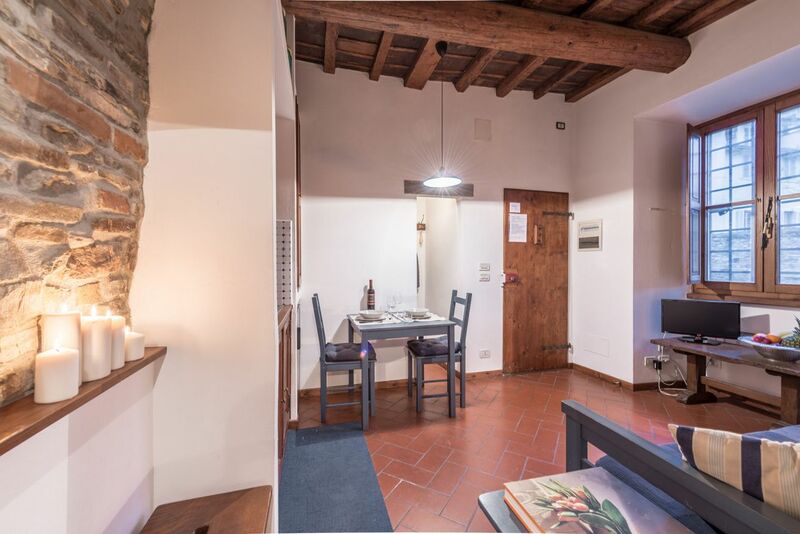 The apartment is positioned halfway between the districts of Santo Spirito and San Niccolò, in the heart of the Florentine Oltrarno. 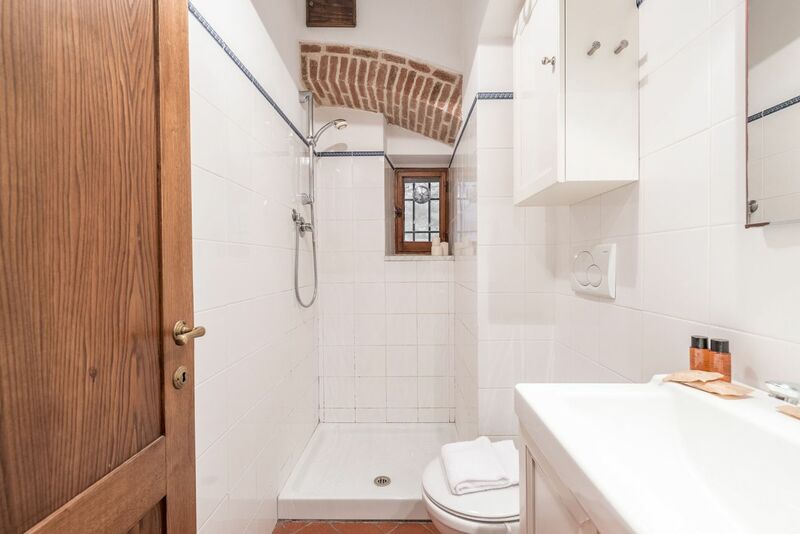 The charm of this area includes its authenticity, across the river from the geographical center of the city, but easily accessible by foot to all of the major monuments. 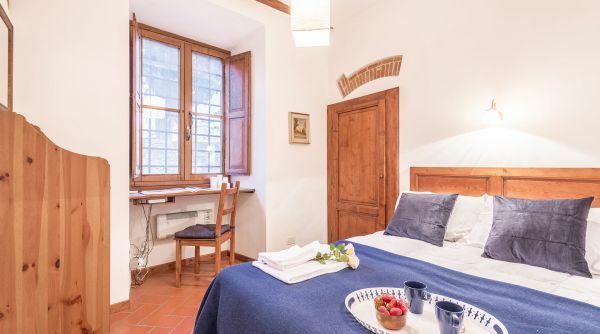 Find yourself next to the Forte di Belvedere, the Ponte Vecchio, the Uffizi Gallery and the Boboli Gardens. 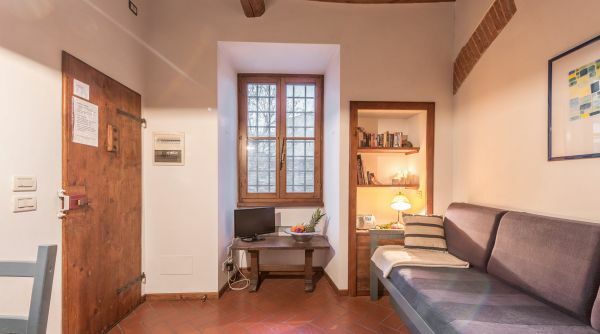 Just 200 metres from the apartment, in Costa San Giorgio number 19, is the house of Galileo Galilei, the great Tuscan astronomer who lived between the 16th and the 17th centuries. 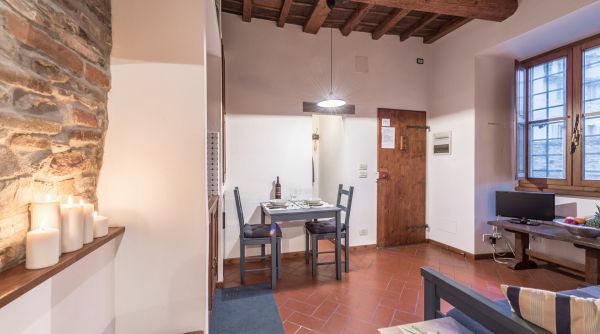 From the main train station of Florence, Santa Maria Novella, you can get a bus: line D by ATAF. Near the train station you can also get a cab to the apartment in few minutes.